The shop is remarkable for the focus placed on the visibility of the product selection. Display units were designed to allow the product to standout - focusing full attention on what is for sale. 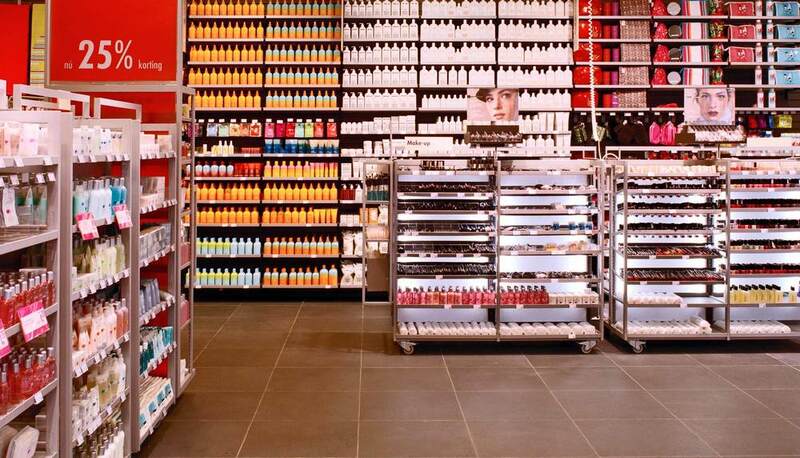 The wall display systems are intended to draw the shopper's attention through the stocking of products from floor to ceiling. Sales and service counters are free standing islands strategically placed on the sales floor to minimize visual distraction. The newly designed modular shelving units are equipped with wheels making restocking behind the scenes a simple task. The units can then be returned fully stocked in the desired location. OPERA's involvement was not limited to just interior design. 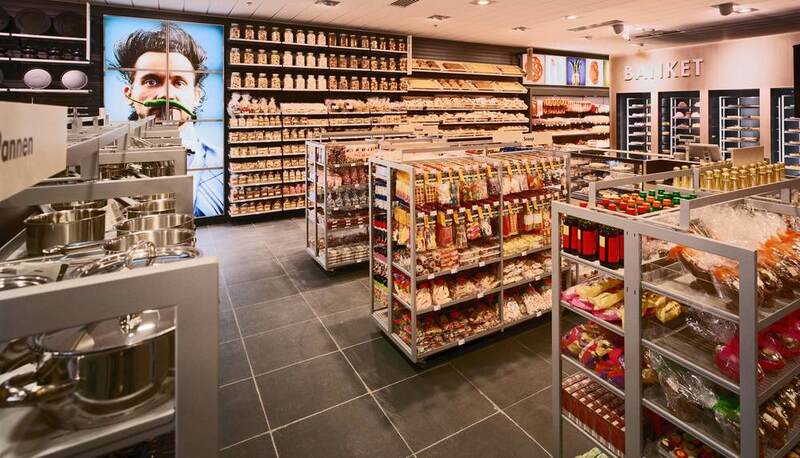 OPERA also worked with the Hema on product packaging and visual merchandising.